In the famous words of Weezer and the Jackass crew… Memories, they make me want to go back there. Nostalgia. In my opinion it’s a big part of the fishing experience. Winter can drag on, particularly here in the South… I often find myself thinking about and reliving the good times from days gone by. 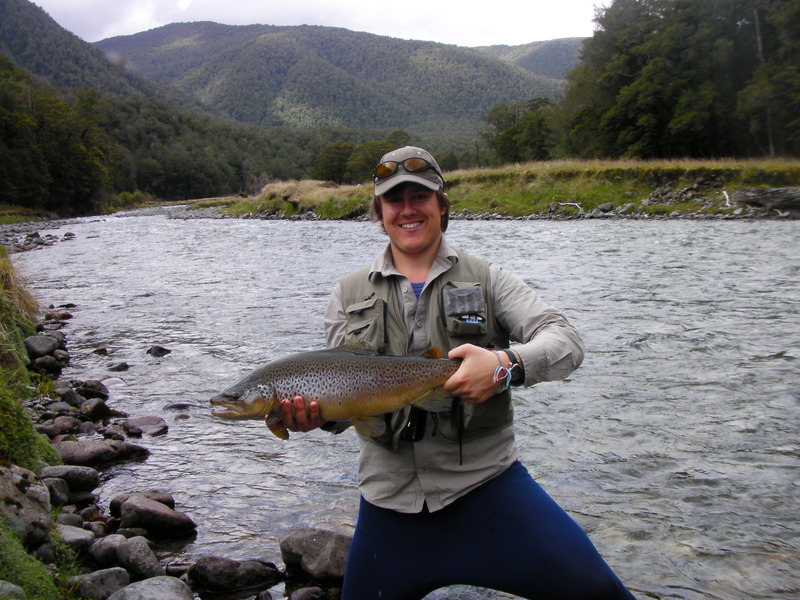 As with most people who share the love of fly fishing, I have some very fond memories of days on the water. 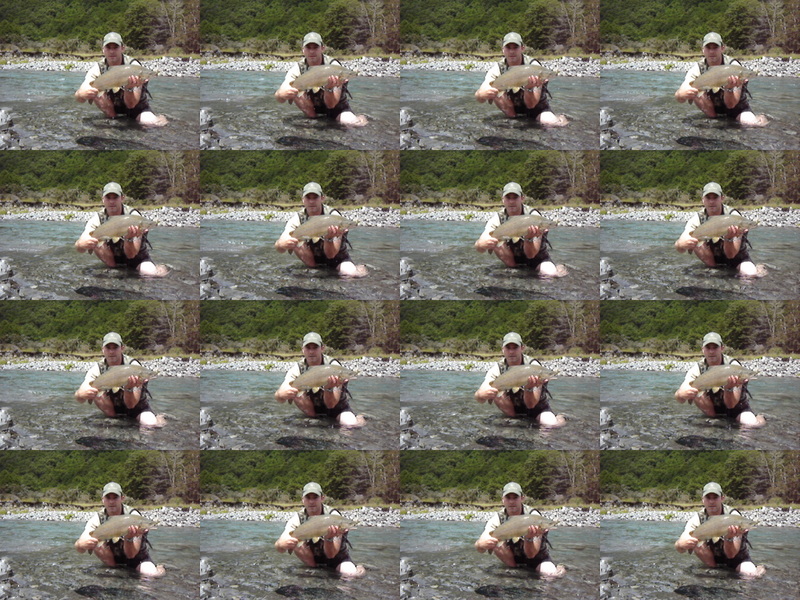 While I wouldn’t be able to say categorically what my favourite memories are, I thought I might share some memorable moments with you all – if for no other reason than to pass the time away until I can fish again… fortunately I only need to wait until next week… we’re off to Taupo for a few days. I can’t wait. Since I’ve already mentioned Jack, I might as well start with with him. As much as I hate to admit it, Jack and I met over the internet. It isn’t as bad as it sounds… you have to trust me on that. It was November 2009. 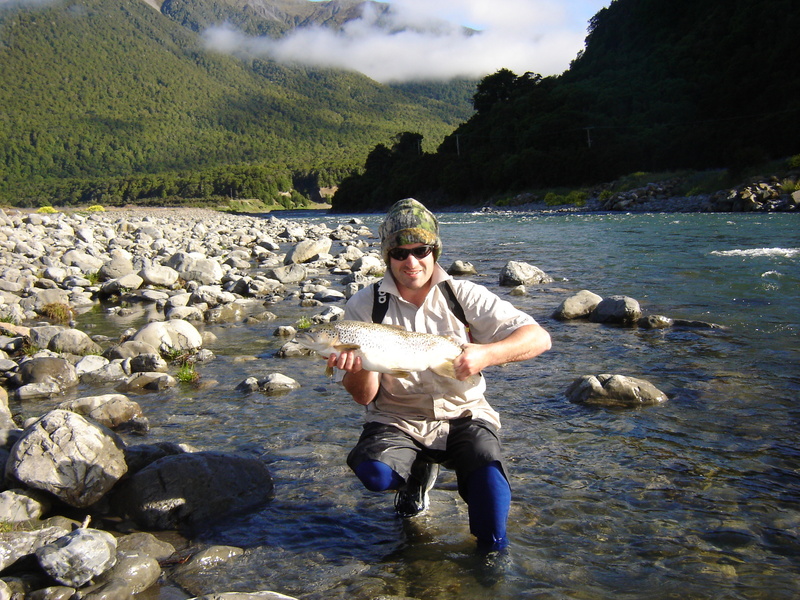 Jack was relatively new to the South Island and I arranged to pick him up for our first fishing trip. Two things stay with me from that day. 1) We get to the river and he discovers he forgot to bring pants… At that point I realised I was dealing with a pretty special guy. He wasn’t bothered though, he fished the entire day in polyprop tights. 2) We had a great day fishing. It was the first time either of us had been to the river, and we found out together what a great place it was. Look at that… no pants! This is probably the fattest trout I’ve ever caught. It fell out of a hole in the net… I wondered what was going on when Jack started making a weird noise as I stood there with the fish in the net and it turned out to be his way of warning me that the fish was falling out. A week later I added another memorable moment to the bank. This time I was with my mate Ashley Wilson. We’ve fished together quite a bit over the past few years, although not as often as we’d have liked because ashley was more often than not busy at work. This was another trip to a new place. 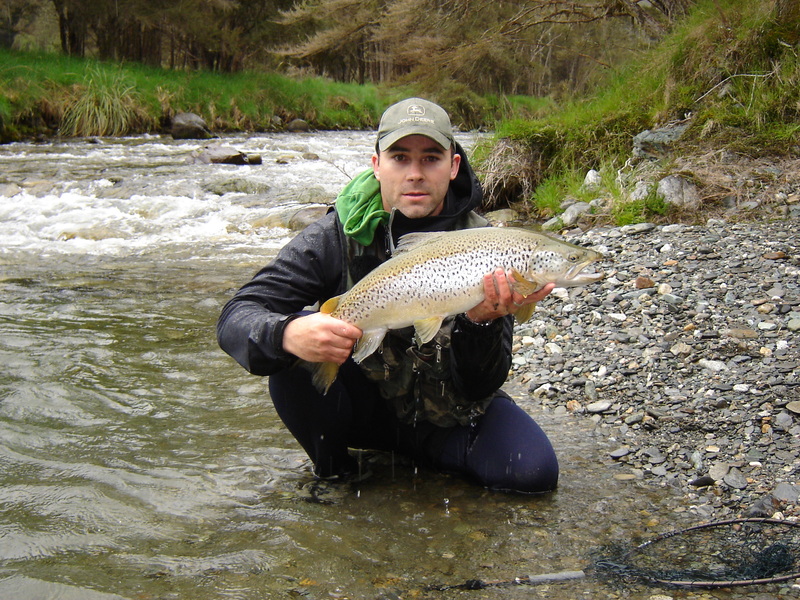 I caught a couple of fish quite quickly which I considered to be of a very good size from the small stream. The weather turned and it started to rain just as we got to a promising looking pool. Despite the deteriorating weather I spotted a fish holding in the eye. Ashley had packed it in for the day so it was all mine if I was good enough. I cast at the fish for quite a while without a result. The truth is that i wasn’t too bothered at that stage, having already caught two good sized fish. Just when I was ready to quit, a window in the current went over the fish and I could see it more clearly. It looked a bit bigger than I had given it credit for. I changed my smallish nymph for a big brown stonefly which the fish took on the first drift. It wasn’t until I lifted the net that I appreciated its true size. It was big. Early in 2010 Jack and I went away to the West Coast for a few days. We had some good fishing over there, but the thing that stands out the most for me is the spped in which the rivers rose after the rain. It was frightening. It rained heavily in the morning for a few hours. We decided to go and have a look to see what the rivers were like. We crossed a bridge and the river below was perfectly fishable. At that point we both decided to proceed and walk into the tributary we’d planned to fish, so we packed our gear and headed off. After some deliberation we decided to walk the track and see whether it would drop since we were already there. That afternoon we arrived at the tributary stream and found it to be higher than I’d ever seen it before. We considered turning back but in the end stubbornness was the winner and we decided to stay. Hell, we even went fishing that afternoon. … and we found fish! The next day the river was pretty much back to normal. Again, I couldn’t really believe it. However, not all fishing memories are positive. 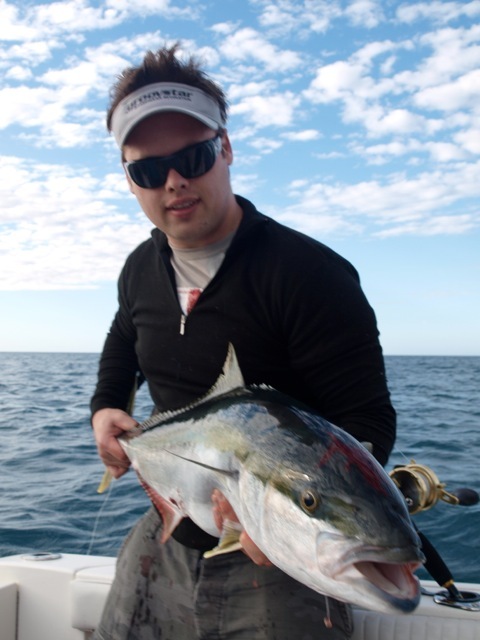 In December 2010 I took a mate and his father fishing for the day. It started out well when I put Paul onto a fish not far from the car. He made the cast, hooked and landed the fish which was an absolute pig at eight pounds on the dot. Not bad for your first trout on a fly rod. After Paul landed his fish was when it went downhill. I hooked a fish not far up from where Paul caught his one which was just as big. It exploded from the water and the hook came free… but the worst was yet to come. 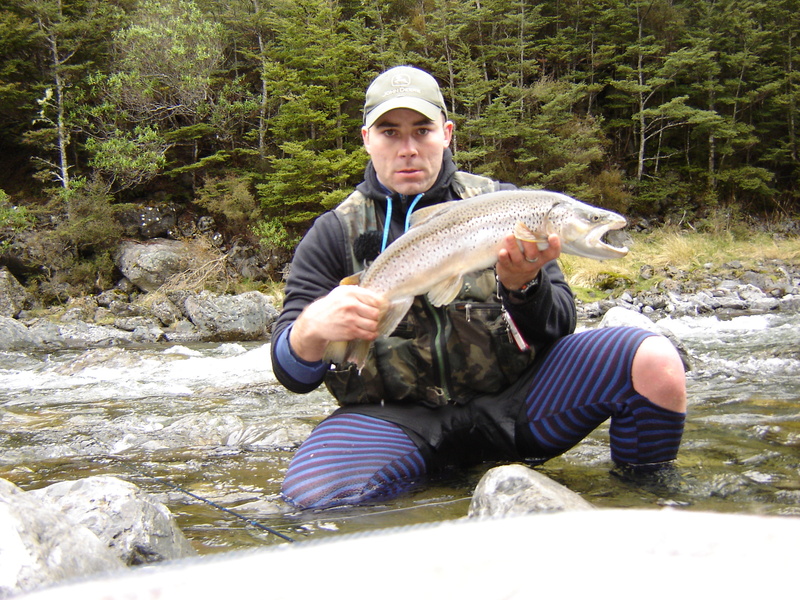 I found another fish very soon afterwards which I could see was every bit as big as the one Paul landed and more. After about six fly changes it finally took a small caddis nymph. I set the hook and it powered to the other side of the river. I couldn’t stop it, it was too big and powerful. My entire fly line was out and quite a bit of backing too, there was a big belly in the line and I was doing everything I could to straighten it. 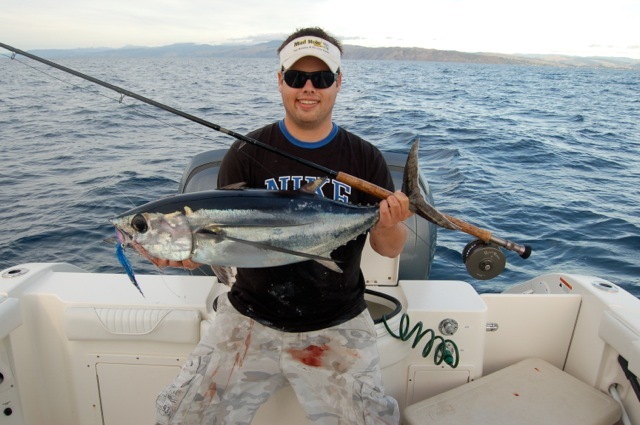 Eventualy I started to gain line… but when the backing to fly line knot hit the top eye of my rod it separated instantly. The sight of my fly line disappearing into the river is one I’ll never forget. Initially I just stood there filling the air with obscenities… then I got it into my head that I could retrieve the line, so I tore off into the water and searhed frantically. I came out empty handed. As much as it hurt me to lose that fly line, losing the fish hurt me more. I’d happily swap a fly line to have landed that beast. 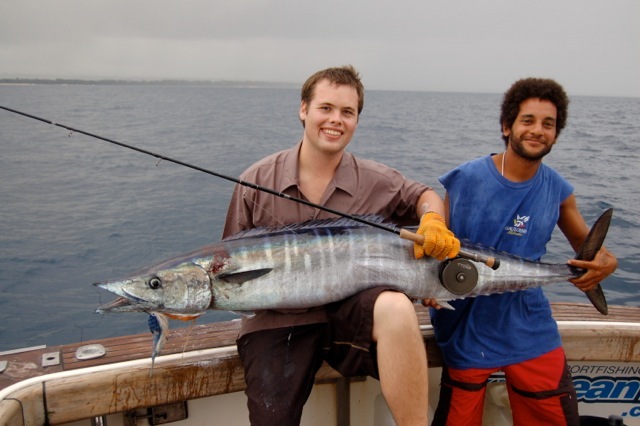 Another time Jack hooked a fish on a day when nothing was working. He had it on for quite some time. It had already bolted down a wild set of rapids and remained attached, so it looked like landing it would be a formality when it was sitting in close. Unfortunately it wasn’t to be. The hook popped clean out and the fish stayed where it was for a few seconds, before disappearing for good. That was a tough moment. I could go on forever about the times of old and so forth… but I won’t. I’ll just finish off with a few more images which hold special memories for one reason or another. It took me three years of trying before I finally caught this fish. This is the biggest fish I’ve ever caught from this stream. For some reason I tried to be clever when taking the self timer picture and got it horribly wrong… Great fish, crap photo. At the end of a very long day when the fishing was extremely tough, Jack tried something out of the box and caught this pig brown. 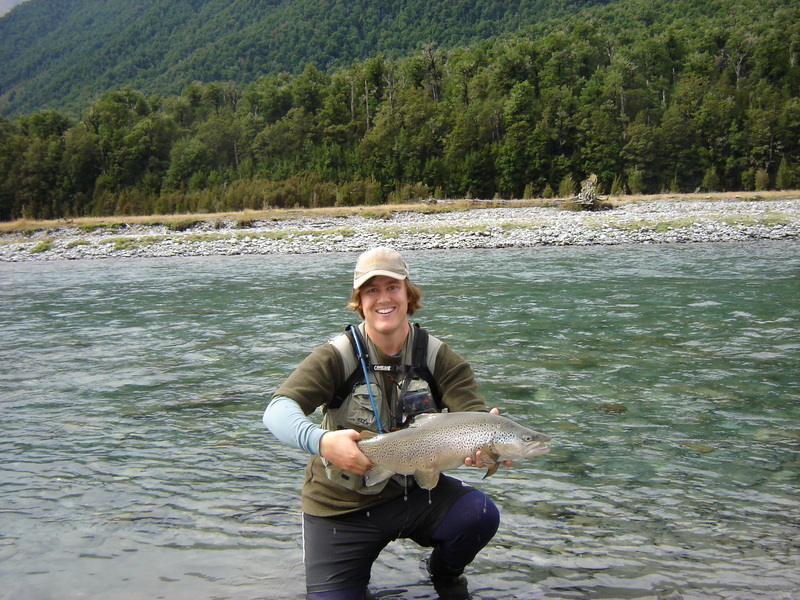 I remember standing in disbelief when he hooked up… It’s fair to say this fish single handedly changed my approach to fly fishing. That’ll do for now. Hopefully there will be something to report back on from our trip North. This is my intro to the blog and it comes at the least enjoyable season of the year. At least for me that is. 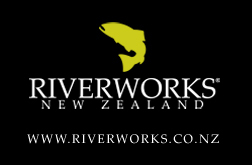 I have an avid passion for fly fishing and my first love is salt water fly fishing which is why winter in Wellington is slow and painful for me. 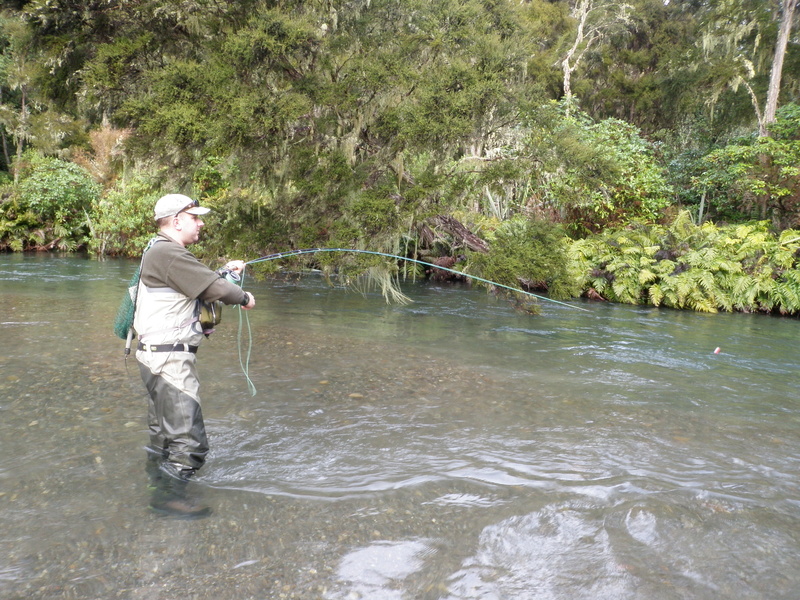 I make do with the odd kahawai where I can but most of my winter fishing ends up being for trout. 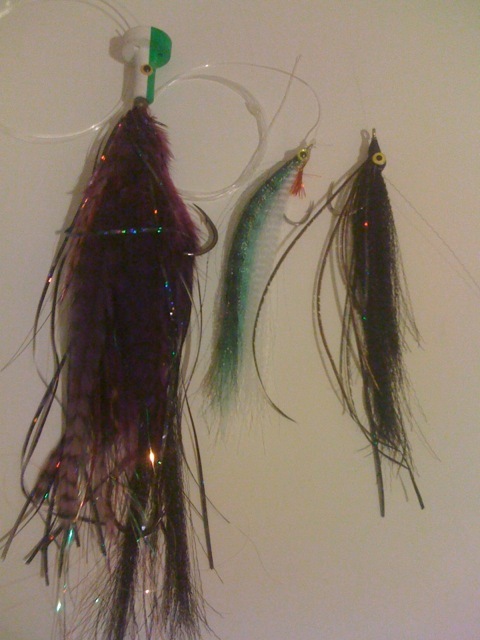 So over the next few months I will be tying flies, tying leaders and prepping my gear for summer. Over this time I will go through some of the setups I use and hope to put together some post introducing the gear I use and tactics I employ. 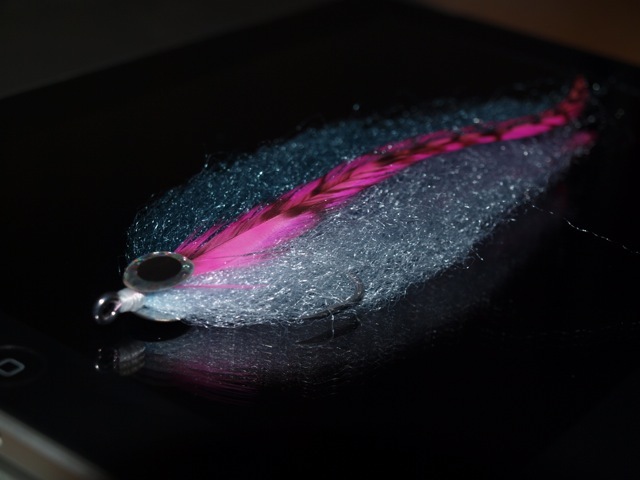 Mike Wilkinson’s a really innovative fly tier but even more so he’s an absolute perfectionist. Watching his flies evolve is fascinating as you can tell he thinks a hell of a lot about how the fly could be improved before implementing it. The artic-bully is a great example (as well as being a spiffy looking fly). By the time I got round to trying to tie a copy of v1.0 he had already posted pics of v2.0 and v3.0! Anyway, check out his blog – heaps of pics of cool flies along with some great information from a thinking flytier. Almost a year after the trip, here it is… the November Trip video. The second to last in our collection video clips from last season. Saving the best for last. By the way… my apologies for some of the behaviour displayed in this video. Sometimes it all just gets a bit too emotional! Quick vid for you guys. Most of you have probably already seen it on Facebook, but for those that haven’t then here it is. I fished the upper pools quickly on Saturday morning with Dad. 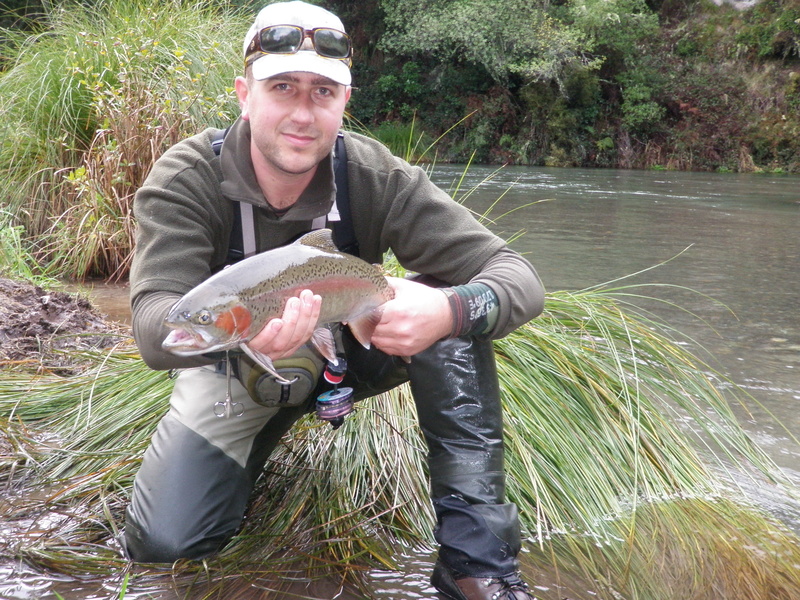 The river was very clear and had a fair number of Trout spawning. We found the going a little tough given the timeframe and conditions. This section of river is in great shape and with the current weather blasting the country will now be on fire for the next few days at least. I know where I’d rather be than working all week! 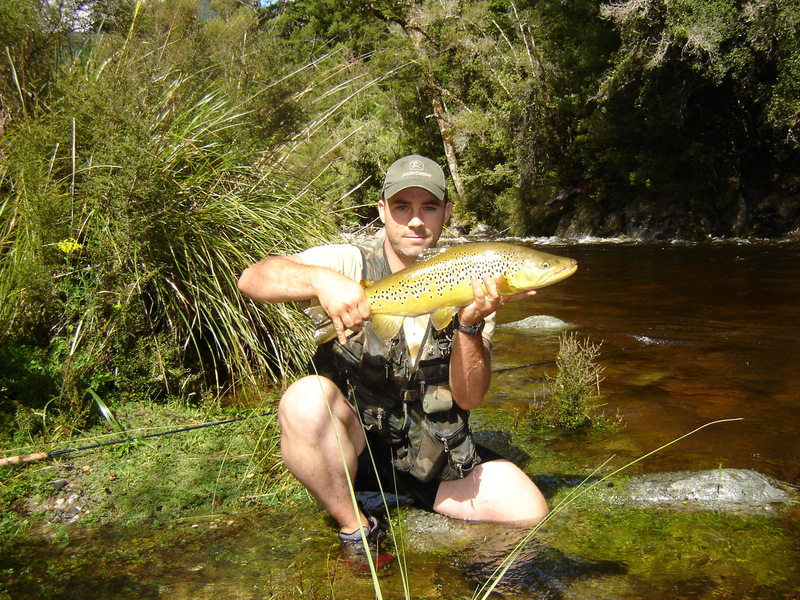 For those of you planning on hitting it we did well on small size 12 tangerine glowies with red dots. 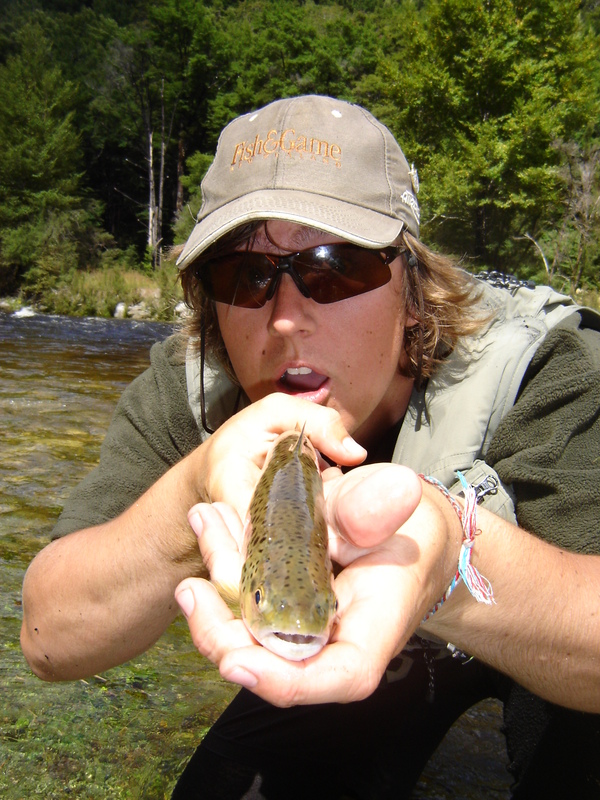 Small tungsten H/C or Caddis were also used with a .4 splitshot where needed. Also trialled a new fly but lost it to a snag before doing any damage! I’ll try adding a quick tying list later in the week for anyone wanting to make a prototype and give it a whirl. 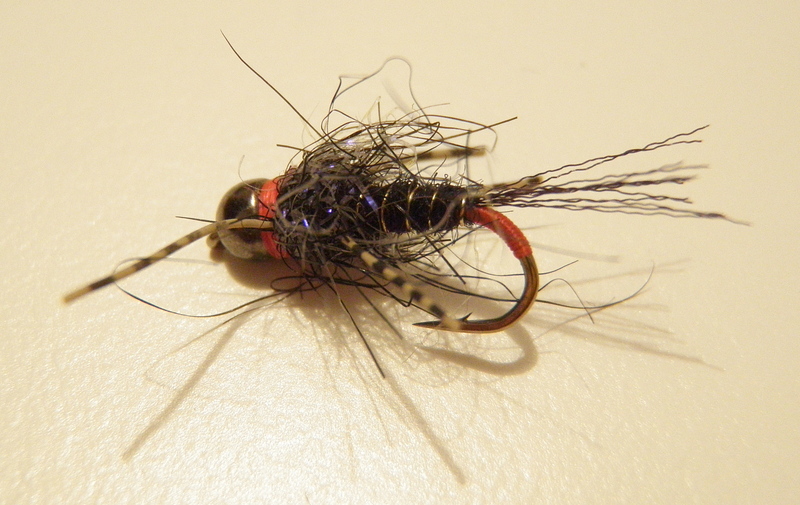 Speaking of flies I’ll be making a few in the coming week. If anything of note turns out you’ll soon hear from me. Happy fishing, stay warm and drive safe.